Washington, taking a page out of Hollywood, looks set to release Stimulus 2, the sequel. And unhappy, tapped-out taxpayers—aka voters—may get a sneak preview of the second fiscal package as soon as next week if lawmakers return to Washington for a lame-duck session under the eye of a newly elected President. Critics and supporters alike, however, should hope that the next fiscal stimulus package is more of a commercial success than its predecessor, lest another big-budget flop be tacked on to the ever-growing federal debt. The hastily conceived $168-billion stimulus package quickly signed into law last February was built around tax breaks for business and tax rebates for consumers, whose impact on the economy was fleeting, at best. This time around—with recession a reality not a perception and consumer confidence at a record low—the package may be bigger and broader. But that doesn’t mean it will be any wiser or more likely to leave a lasting impression on the nation’s economy or psyche of consumers. If anything, it may be the mother of all stimulus packages. “There's a political element, Wall Street got its bailout now everyone needs to get something,” says Robert Bixby, executive director of the Concord Coalition, which advocates fiscal responsibility. Thus far, Congress seems to be heeding another call: reaction, not action. The original price tag was about $60 billion package, but it wasn’t long before it was $150 billion, then $300 billion was thrown around. Given the current state of the economy, $300 billion would be equal to about 2 percent of GDP. Though that’s a relatively small sum compared to the federal government’s extraordinarily expensive efforts to shore up the financial sector, its larger than most recent stimulus packages. In 2001, the tax rebate portion of Bush Administraion's long-term tax-cut legislation totaled just $38 billion. President Clinton’s unsuccessful $30 billion plan in 1993—proposed, it later turns out, after the recession had ended but while joblessness continued to rise—was rejected by Congress. Economist Steve Hanke, a professor at Johns Hopkins University and a fellow at Cato, says that—in the context of the federal government’s “serial spending spree” of bailouts and stimulus packages—“$300 billion sounds like chicken feed." The high likelihood of more money this time also increases the possibility of a bigger shopping list. “There doesn't seem to be as much consensus about its makeup as there as there was for the one they did in January,” says Bixby. That makes it even more vulnerable to political horse-trading and lobbyists. Arnold says lobbyists are already lining up with their suggestions. “They need to see what's worked in the past and not turn it into pork-laden legislation,” agrees Schatz. What works and what doesn’t, of course, is a matter of some debate and could very likely slow down the legislative process. One-time tax cuts, or rebates—the cornerstone of the previous package—will probably not have a role in the second stimulus plan. An extension of unemployment benefits, a boost in food stamp funding, aid to states and municipalities—absent in the first package—are widely considered to be among the must haves, according to budget watchers and legislators. “They make sense economically and politically,” says Bixby. Another somewhat conventional measure is spending on infrastructure—buildings, roads and bridges—but its inclusion is less certain. Skeptics say it is likely to be end up in the package because of strong lobbying efforts, even if such spending measures tend to have a flash-in-the-pan impact. 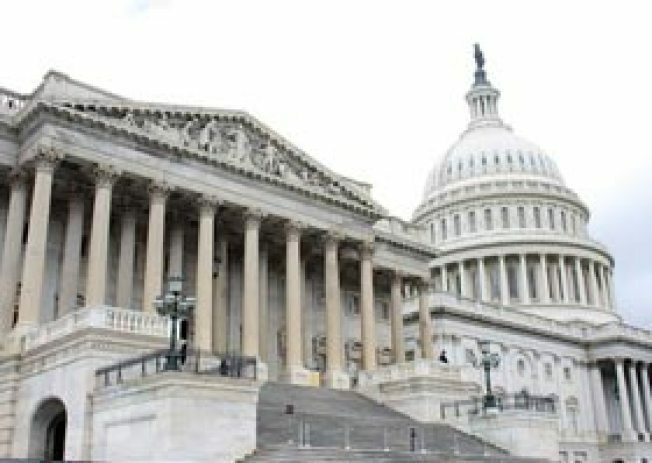 Congressional leaders are said to support Infrastructure spending if it is for existing projects, such as ones that have been delayed, rather than new ones. Nevertheless, some are talking about ambitious new spending in the form of energy investment or a public-works program. Among the more unusual and untested measures are tax credits for business to hire workers and a one-time allowance for the withdrawal of money from a 401(k) retirement account without the normal stringent tax penalties. Democratic presidential candidate Barack Obama happens to support versions of both ideas. Critics say undoing policies to encourage savings, particularly in a country that has a problem saving, is unsound and could set a bad precedent. But its inclusion in the policy debate underscores the something-for everyone approach that is seeping into the process. “I hear people saying, ‘Where’s my bailout?' ” says Schatz. Former Federal Reserve governor and White House chief economist Lawrence Lindsey told CNBC that a lot of the ideas are of the "'lets help out our friends back home' variety." Arnold of Cato calls them the “innocent bystanders who have taken a pretty hard hit to their savings,” because of the stock market sell-off and economic downturn. So at this point, if Halloween is the holiday that most resembles the economy and the financial system, then it is Thanksgiving and Christmas rolled into one for government fiscal policy. Observers say there’s a chance a lame-duck Congress will pass a small package in the weeks ahead, leaving a bigger package to a new congress and president in January. By that time, however, the recession—by one general measure—will be a year old and certainly deeper than today with the unemployment headed to 7 percent, leaving Congress vulnerable to criticism it delayed staving off some of the pain. Either way, the level of spending is worrisome to many and dangerous to some. Hanke says governemnt has lost "any sense of proportion. "It's just spend and pass the burden on the future," adds Schatz.